Initial Thoughts: LOVE this bag. Once I got over the initial disappointment of not receiving the "They're real" Mascara that Ipsy pretty much promised (they made it an "or" product and I received the Chella instead. From what I hear they sent it to new subscribers), I was pretty happy. I actually know and LOVE two of the companies from this bag: the Balm and bareMinerals. I will use everything in this bag except for the eyebrow defining gel (I have huge, thick eyebrows...no definition needed). I was also happy that none of the products are made in China. They have been known for sending weird/crappy China make-up. I am glad they are leaning more towards American brands. Another great bag from Ipsy. Initial Thoughts: Ohh Birchbox...just like a flawed Man, you know what trinkets to send me to steal my heart and keep me another month. Stila and chocolate? Okay, you have me for at least another month. Even if my stila is only worth $2, it is still a nice size sample and it is stila. That $32 stila Smudge Stick Set, Chocolate Bar and Extra Samples that I just ordered for FREE using my credits for taking the surveys didn't hurt either. Overall, I like this box. I of course love the stila luminizer. I actually love the perfume that they sent too. It is unlike anything I have ever smelled before. Too bad it is too pricey for me to purchase. The chocolate was delicious. I don't really use hairspray, but this size will be great for me to toss into my travel bag with my flat iron (the only time I do use hairspray is with it). The Vanish is being saved to try out on a special occasion since it is so pricey and I probably won't even buy it. I am happy with my November Birchbox. 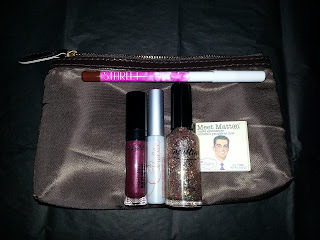 This month's winner: Ipsy. 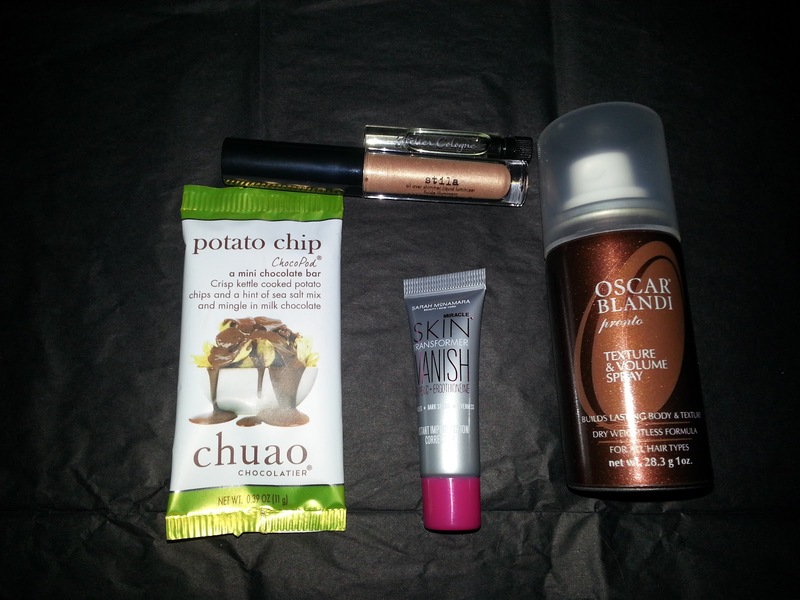 I am starting to wonder whether I should even include a winner since it is always Ipsy. 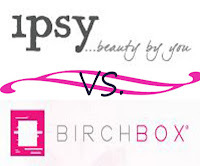 Birchbox was decent this month, but Ipsy always seems better. These look way cool! I'm going to look into both of them! Would really love to try Ipsy myself. Where do you get it?